SPS Fire & Security is a local business providing local service with a local team. When you call us, you aren't dealing with a call center. instead, you are working directly with those who take the time to get to know you and meet your needs. Our staff has the knowledge and experience to advise on on the best home security solution to meet your needs. We listen to you, evaluate your wants and needs, and work with you to find a comprehensive solution. We connect you with a sensible solution that meets your security needs and your wallet. Through our Rate Lock Guarantee, you don't have to worry about your rate increasing. It always stays the same. 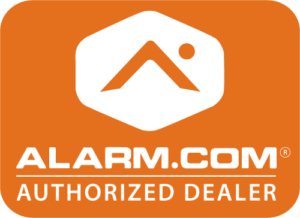 Home Security - You never have to leave home again worrying about the safety of your home and family. Fire, Flood, and Carbon Monoxide Alerts - The extra protection you need against fire, flood, and dangerous carbon monoxide poisoning. Video Surveillance - Use video surveillance to protect against intruders, keep an eye on the family pet, or see when your child comes home from school. All of this can be done remotely. Home Automation - From temperautre control to turning the lights on and off, have control over your home from anywhere with your smartphone. Lock in Your Rate - Guaranteed! At SPS Fire & Security, you don't have to worry about your monthly monitoring rate being increased during the life of your agreement. Contact us to schedule your free, no-obligation consultation. At SPS Fire & Security, we want to provide you with superior and personalized service. To do this, we take the time to get to know you and your needs so we can exceed your expectations. Not only do you get state-of-the-art home security systems or business security systems, but you get a high level of customer service.